Then look no further. Introducing our new Vent Extensions. 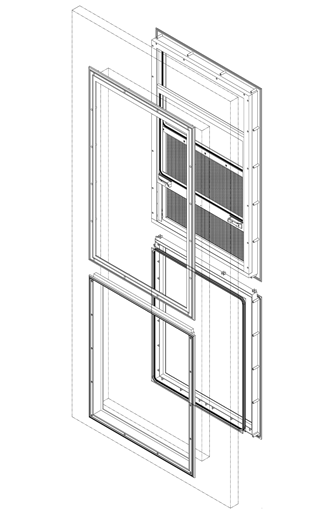 The new extensions work with our existing 2236 vents and 2036 vents making them 2264 or 2064. With the venting in the middle of the door you won’t have to worry about pets trying to run through them or even small children pushing their way out. With the vent position in the middle, and the same Ergonomic Handle Design of our current windows, it makes lifting the window easy. Click here to see our Vent Products page. Contact a sales representative today for further information or if you have any questions.